Frequented by James Bond author Ian Fleming, the classy Dukes Bar is famous for its martinis and said to be the inspiration behind the classic 'Shaken not Stirred' line! 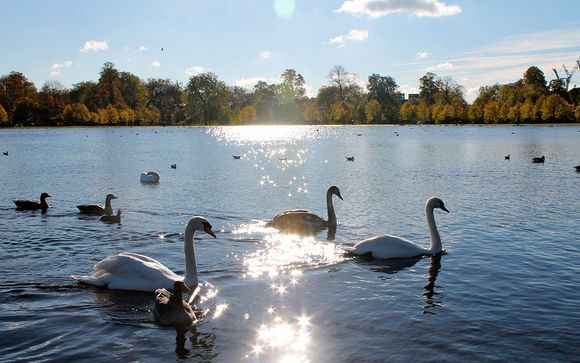 Dukes is ideally located for London's finest restaurants, most fashionable shops, exciting galleries and fabulous theatre productions, with excellent links to the City and Canary Wharf. Dukes Hotel, winner of the coveted prize 'England's Leading Hotel' at the World Travel Awards 2014 has been welcoming distinguished guests for well over a century. From the moment you walk through the lobby, you feel you’re somewhere rather special. 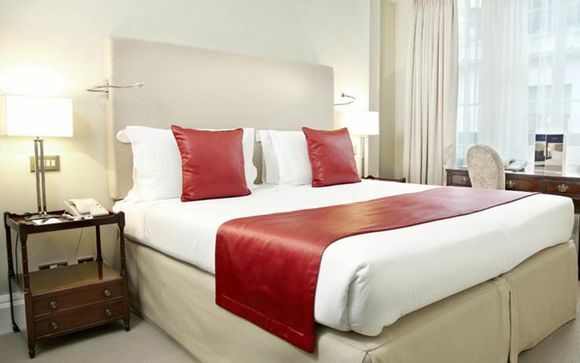 Steeped in heritage, the perfect hideaway in central London with a personality that feels like a home from home, the iconic hotel is a delightful mix of quintessential English charm, exacting standards and discreet luxury that offers you your very own piece of Mayfair living. This offer is based on a stay in a Dukes Room. Room features include an interactive flat screen TV, a spacious wardrobe, in room safe, comfortable arm chair, large writing desk, opening windows, Ren toiletries, bathrobes, slippers, large marble en-suite bathroom with bathtub and shower. Offers Nigel Mendham's refined, British cuisine. Preferring to keep technology out of the kitchen, Nigel instead focuses on using time-honoured techniques and the very best British ingredients to create mouth-watering meals. His modern-traditional food, with its classical twist, fits in perfectly with Duke London's quintessentially English values. The legendary bar is internationally renowned for its famous martinis and personalised cocktails. Frequented by James Bond author Ian Fleming, the bar is said to be the inspiration for the classic line, 'shaken, not stirred'. So whether you're relaxing after a meeting or getting together with friends for special drinks, the intimate and timeless surroundings, coupled with the bartender's knowledge, make it an unforgettable experience. Afterwards, you can retire to the cognac and cigar garden. The elegant Drawing Room and Conservatory overlook a peaceful courtyard garden and are the perfect spot for morning coffee or a light lunch. 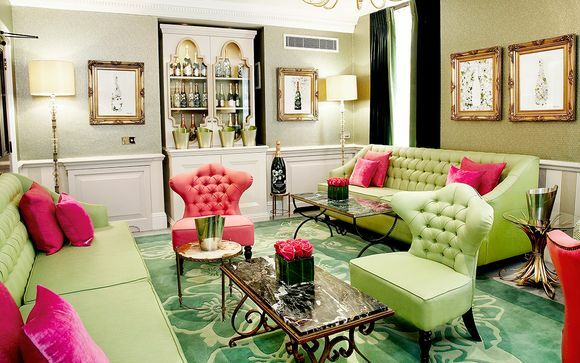 Alternatively, take time to enjoy a traditional Afternoon Tea in this stylish setting. Delicate finger sandwiches, freshly baked scones and a choice of patisserie are served with a choice of tea. The newest addition to the hotel's renowned bar lineup features the finest Champagne and Champagne cocktails from partner Perrier Jouet in an intimate and relaxed setting. Sink into a setting as enticing as the bubbly itself. A "modern classic room" to relax and enjoy, with rich gold and forest green tones and a hand-stitched carpet with the iconic anemones of Perrier-Jouet Belle Époque. Dukes is delighted to announce that its luxurious Cognac and Cigar Garden is now open. Guests are invited to choose from the excellent selection of fine cigars, including some Cuban favourites, and indulge in one of the fantastic cognacs. The Health Club at Dukes features an Italian marble steam room, a modern gym with the latest equipment and a beauty treatment room. From personal training to beauty therapy, the Health Club specialists will help you to meet your fitness goals or simply to relax and rejuvenate. Valet parking is available. Overnight parking is £58. Please allow 10 to 15 minutes for your car to be brought to the hotel's main entrance. Hourly parking rates are also available. The nearest public car park is Arlington Street, a three minute walk from the hotel.